My daughter has played softball for several years. A few weeks back I took a friend to the game. While we were watching one of the opposing team’s players was injured. My friend asked what was going on because our team all had “taken a knee”. It’s a tradition among the High School teams that when any play is injured, of your own team or the opposing team, you ‘take a knee’, meaning you group up and get on one knee. It’s a prayer position, and that is what it represents – a prayerful heart. It’s touching to see, and as equally touching when they all rise and applaud when the player walks off the field with a coach by their side. That’s what our lives should look like. When one hurts – we all hurt. When one celebrates – we all celebrate. But somewhere along the way, pride, dishonesty, and selfishness has entered in to where we feel we cannot be open and honest with each other, explaining our sorrows and burdens with each other. Does the right hand hide what has happened to his fingers from the left hand of the same body? No. That would be a bit ridiculous, right? Paul instructs us in Ephesians 4 to “speak truth with his neighbor”. Friends, how often do we not share the full truth when someone asks, “How are you?” If you are friends, truly friends, you can answer that unashamedly, and give the FULL truth, holding nothing back. When we learn to be fully truthful with one another, within the bond of peace which is the body of Christ, then we can become like the softball team which hurts for each other and celebrates together. Paul continues on to express what our lives should look like within the body of Christ by saying “Be angry and do not sin”. Being angry is not a sin. God gave us emotions and even passion in some areas. He means for anger to be a benefit for us, to drive us to do things we should do. But when we allow anger to fester, it only infects us with evil thoughts. (Keep in mind that even our “I wish I’d said” conversations in our heads are often intended to hurt the opponent, and therefore, evil.) That’s why he tells us not to go to bed angry. Anger within the body creates infection, and sides begin to form as gossip is spread. The body is supposed to be in the bond if peace, which is Christ himself (Ephesians 2:14). When we have broken that bond, we “give place to the devil” just as Paul warned. 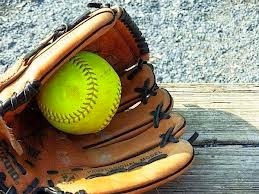 Another thing I see among the softball players is the fulfilling of needs. It’s as simple as borrowing a bat, a glove, or sharing sunflower seeds with each other. Paul said “Let him who stole steal no longer, but rather let him labor, working with his hands what is good, that he may have something to give him who has need.” Each one on the team does their part. They don’t have to steal to have their needs met because the group lovingly supports each other. About the only thing I haven’t seen borrowed is a mouth piece (thank you Jesus!). Paul is saying that each should do his part, not putting the burden on any certain one, but also so that he can because he earns a living help support others. While God’s word does say that “If anyone will not work, neither shall he eat” (2 Thessalonians 3:10), it also tells us that God loves a cheerful giver (2 Corinthians 9:7). It’s really simple. You’re blessed to be a blessing – not to store up wealth. God then directs Paul to instruct us on what we say to each other. He says “let no corrupt word proceed out of your mouth, but what is good for necessary edification”. For your words to be corrupt, your heart must be corrupt. Jesus said it’s not what goes into a man that defiles him, but what comes out of his mouth (Matthew 15:11). Our words are to edify each other, which means ‘to build up’ – not tear down. If you find yourself continually negative towards those around you, my friends, your have the worst kind of heart problem. These conflicts actually decrease your effectiveness in the body by grieving the Holy Spirit of God within you. How can you preach or teach or witness when you have an issue with a brother or sister? Jesus tells us in Matthew 5:24 that you can’t. He says to lay down your gift (which includes service for God) on the altar, and “First be reconciled to your brother, and then come and offer your gift.” We only hurt ourselves when we inflict pain on another member of the Body of Christ. But at last, Paul tells us what the body SHOULD look like. He says to “be kind to one another, tenderhearted, forgiving one another, even as God in Christ forgave you.” Not all softball players go to the plate and strike a home run. But every one that returns to the dugout returns to people that love them, and are forgiving of any mistake that hurt the team. God tells us to be that way with each other in the Body of Christ. Being “tenderhearted” means you may cry with them when they cry. “Forgiving one another even as God in Christ forgave you” means an ever ending cycle of forgiveness. There are no “that’s it! I’m done!” proclamations in softball. You play the game until the game is over. The same is true within the Body of Christ. You forgive, forgive again, and forgive again. Why? Because Christ put you in the body knowing you aren’t perfect either. Out of respect for Him, we continue to forgive each other, and ourselves. In short, the attitude and actions of the Body of Christ should be a singleness of goals and ambitions, of heart and mind. It’s an ‘All for One’ spirit, and that One is Jesus Christ.